The 4th grade teachers hosted an Escape Room on Friday, January 18, 2019. Students were given a ticket to enter the 4th grade classroom and from there they would solve clues over a 30 minute period of time that would allow them to “Escape the Room”. First they had to solve a Math problem in order to figure out what group they were in. Then they worked together to solve secret clues in a sequenced order with specific directions that earned them a key to unlock a box with the “combination” to a bigger box. 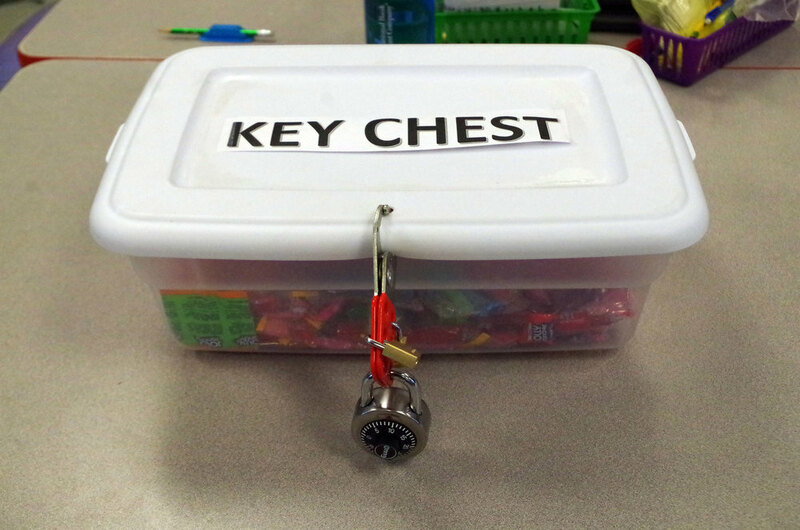 Once students figured out how to open a combination lock (which seemed to be the hardest part of all!) they ’escaped the room’ with candy! The cooperative activity was very well planned and most teams were able to escape.